* Now using latest & greatest libFLAC 1.3.0. * Fixed WAV tag writer potentially creating files of odd byte count (non-standard-compliant). * Improved handling of various malformed AIFF file cases. * Made WavPack files with malformed channel mask info play (final). * New “Downmix channels to stereo” DSP replacing old “Downmix 5.1 to stereo”; now capable of downmixing various channel configurations (final). 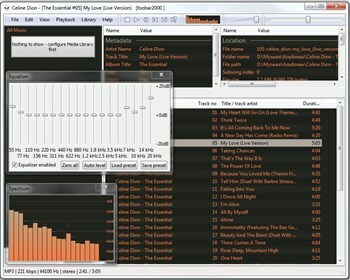 Нужна Помощь по установке программы foobar2000 1.2.7 Stable ?